More than two decades after debuting, the truth is still out there. Somewhere. 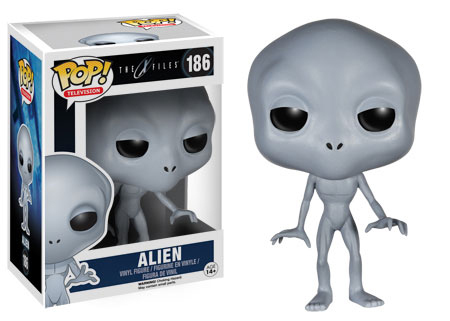 Thanks to the 2015 Funko Pop X-Files vinyl figures, the hunt for aliens, the paranormal and a sunny day can continue. The lineup features four figures. 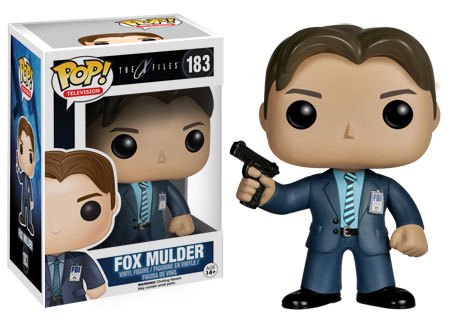 Leading the way are lead stars and template for romantic tension, Fox Mulder and Dana Scully. 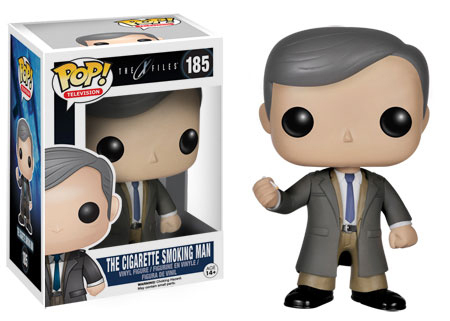 They're joined by the mysterious Cigarette Smoking Man and the slightly less mysterious generic Alien. 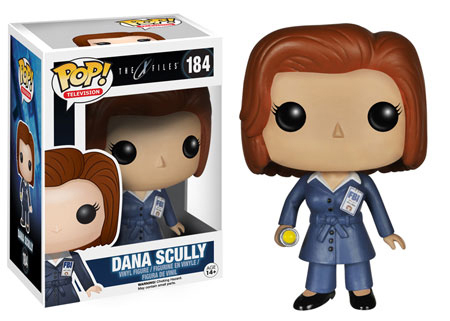 Sold separately, each figure is 3 3/4 inches tall. They bring the broader Pop! Television line up to almost 200 total figures.